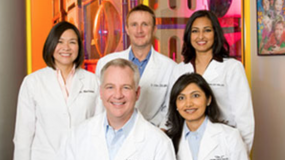 ​How do you care for braces is the most important question to ask your orthodontist. How do you care for braces is the most important question to ask your orthodontist. Caring for the teeth and braces sufficiently can be difficult for kids, so understanding oral hygiene and potential dental issues that arise from poor oral care becomes more important than ever before during the period a child undergoes orthodontic treatment. Taking good care of braces is imperative in evading problems while they are on and ending up with a beautiful smile when they come off. No matter how much time, money, and discomfort a person expends over braces, oral hygiene is requisite to resulting in a gorgeous and healthy smile. 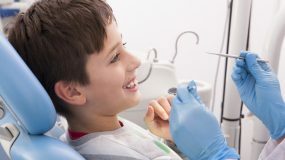 When a child is wearing braces, several adjustments must be made for maintaining proper oral care including, avoiding certain foods, brushing and flossing the right way and more often, wearing rubber bands according to the treatment plan, and promptly visiting the orthodontist for any wires or brackets that become loose or broken. Why is Oral Hygiene So Important For People With Braces? Proper oral care is always key in preventing common dental problems like gingivitis, demineralization, and plaque build up, but it becomes exceptionally important during the period of time children undergo orthodontic treatment like braces. Oral hygiene becomes more difficult with braces, and children become especially prone to these dental problems when wearing braces. 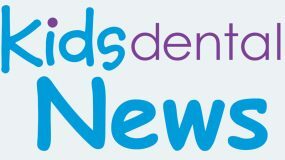 These problems are irritating and can be miserable enough to deal with on their own, but if left untreated have the potential to cause serious secondary oral health issues and consequently, even extend a child’s time in braces. In acute cases of oral health problems, an orthodontist may even have to remove braces and wait for the mouth and gum problems to resolve before being able to reapply braces. Kids with braces must take extra care cleaning their teeth and may need to adjust specifically the way and how often they brush their teeth. It is extremely important for a child with braces to brush their teeth after every meal. Brushing 4 times a day, even, is a great way to keep food particles and plaque from building up in the braces and teeth. It is also recommended to brush the teeth for several minutes during every cleaning. A toothbrush should be replaced more often for kids with braces, specifically right when the bristles start to fray or wear down. 1. Hold the toothbrush parallel to the floor against the side of the teeth. 2. Move the toothbrush in small circular motions, guiding the head of the brush from tooth to tooth, following the regular curve of the gums and teeth. 3. Brush each tooth for several seconds carefully and slowly to make sure all food particles are reached and removed along the gum line, between braces, and on the surface of each tooth. 4. Remember to brush the tops of teeth, the insides of teeth, the back of the mouth, and behind the molars. Brush upward on the lower teeth and downward on the upper teeth. Also brush the roof of the mouth and tongue before rinsing. 5. To properly clean brackets, angle the brush head against them and do not forget to also brush thoroughly under the wires. Even though flossing can be a hassle, it is important to do this every night after brushing teeth, especially when wearing braces. Even if it seems like all food particles have been brushed away, braces are known for trapping food in places that are hard to see and reach. A person with braces will need to use “threader floss” specifically, to be able to floss properly around wires. This type of floss has a stiff end that permits flossing between brackets. Reusable plastic floss threaders in combination with regular floss can also be used to achieve the same oral care. 1. Slide a piece of floss (about 18 inches long) under the wire, above the space between the two teeth. Insert the floss half way through, and then hold both end of the floss. 2. Carefully, slide the floss up and down a few times between the teeth. When the tooth is clean, you will hear a slight squeaking sound. 3. When flossing the gum line, curve the floss into the shape of a “C,” and remember to floss below the gum line with a soft up and down motion. 4. Be careful when flossing around the archwire, and do not apply too much pressure to it. 5. Gently, remove the floss, thread it under the next wire, and repeat the steps above. Gums may bleed when a child first starts flossing. It is normal for gums to bleed a little after flossing for about a week, but if the bleeding persists this should be addressed during the child’s next orthodontic appointment. The whole process of flossing may take up to 15-20 minutes in the beginning, but speed increases with practice. Sticky and hard food must be avoided while wearing braces, because they can break or ruin wires and brackets. Also, eating really sugary foods while wearing braces highly increases the risk for cavities and tooth decay. Kids should stop any habits like chewing on foreign objects, pencil or pen chewing, and nail biting while wearing braces, because these too can damage the brackets and wires. Most kids need to wear rubber bands towards the end of their time in braces to move their upper and lower teeth together correctly. 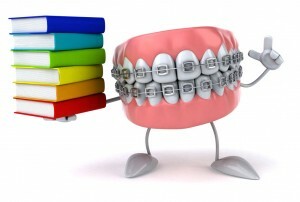 Wearing rubber bands with braces usually lessens the amount of time braces must be worn overall. 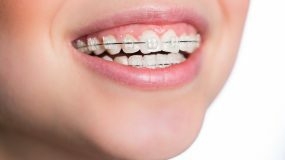 When the teeth are straight (due to the brackets and wires) and fit together (due to wearing the rubber bands), braces can be completely removed. 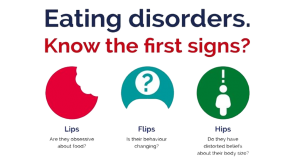 Rubber bands should be worn 24 hours a day, and should be taken out and changed every time a child eats. Remove them only while brushing the teeth, and then replace them right after. For brushing teeth with braces, a toothbrush with soft bristles is best. Brushing with a manual toothbrush, however, does increase the risk for leaving food particles and plaque behind. Using a power toothbrush is highly encouraged. 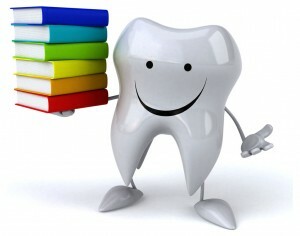 No specific toothpaste is needed necessarily for brushing teeth with braces, but fluoride toothpaste is encouraged. Selecting a type of toothpaste with comprehensive protection helps maintain optimal oral health. It is also recommended for kids to use mouthwash twice daily for about a minute each time to rinse around brackets. Using mouthwash helps clean the tiny spaces between teeth, where food particles may still be trapped after brushing and flossing. Please contact Kids Dental Plano Office or Kids Dental Carrollton Office to schedule a visit with one of our pediatric dentists or orthodontist.